Get subtle hydration reminders to help you drink eight glasses a day. 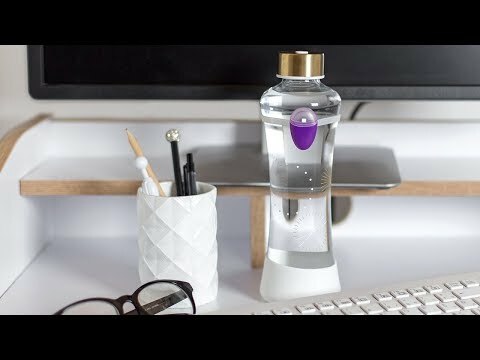 Ulla turns your drinking vessel into a smart water bottle. The silicone band fits over a bottle or glass, with an accelerometer inside to track movement. Go more than 30-40 minutes, and Ulla’s light will blink. I love the reminder to drink water. Makes a Hugh difference in my water consumption. Bought another for my mom. This is the best reminder for drinking my water. Love this easy to use product. 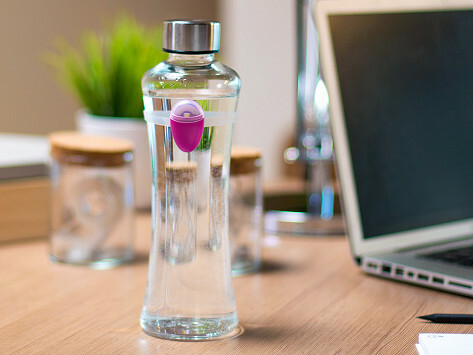 Ulla turns your drinking vessel into a smart water bottle that gives you hydration reminders during your busy day. It’s a silicone band that fits over a bottle or glass. Inside, an accelerometer, which tracks the band’s movement, knows when it’s been a while since you’ve taken a sip. Go more than 30-40 minutes without some H2O, and when you’re nearby (the band’s sensors will know that), Ulla’s light will blink. Several of us tried it out here at Grommet headquarters, and were grateful for the reminder to stay on track to drinking our eight glasses a day. Put Ulla in place, and you don’t have to do anything else. Except drink.